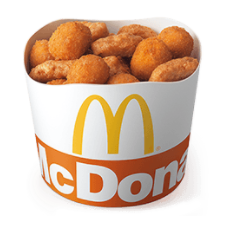 Is there really anything better than the salty, crispy goodness of a McDonald’s chicken nugget, I ask you? The crispy batter, dipped in the sauce of your choosing, is as good as modern gastronomy gets for the price and frankly, is better than an expensive meal most of the time. 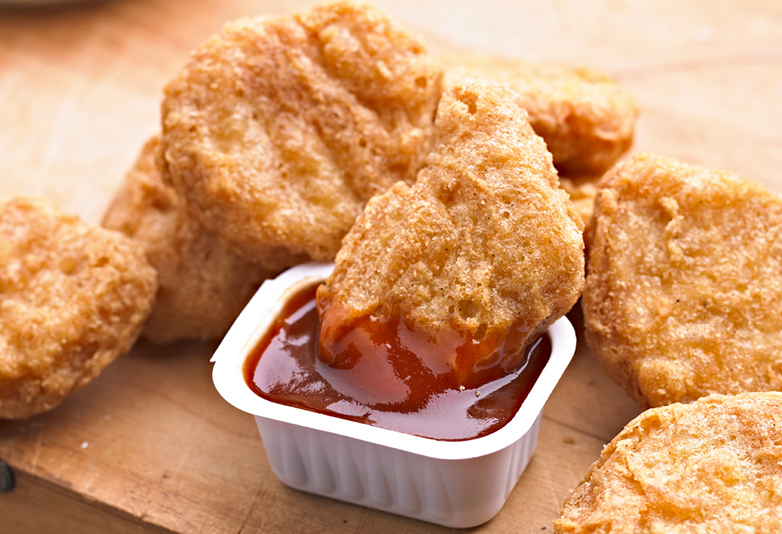 People understandably get really defensive over their chicken nuggets and if you try and steal one, then you’ll definitely get a slap on the back of the hand. However, now, the fast food behemoth has introduced a sharing box, which is specifically designed for sharing with your mates. The boxes are filled with both McNuggets and Cheese Bites and tbh, I’m still not going to share this either. 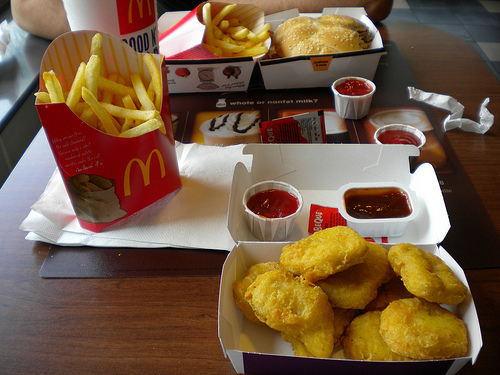 The box contains 15 McNuggets and ten Cheese Bites, but they’re not yet available in the UK. They’re being rolled out across Spain, but if things go well, then they could almost certainly make their way over here. 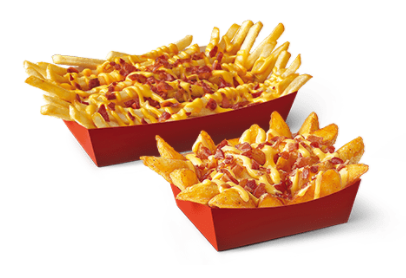 It seems Spain are lucky on more than one front, as McDonald’s stores in the country also sell their signature fries topped with cheese and bacon. I can’t help but feel like there’s some international favouritism going on over at McDonald’s HQ. 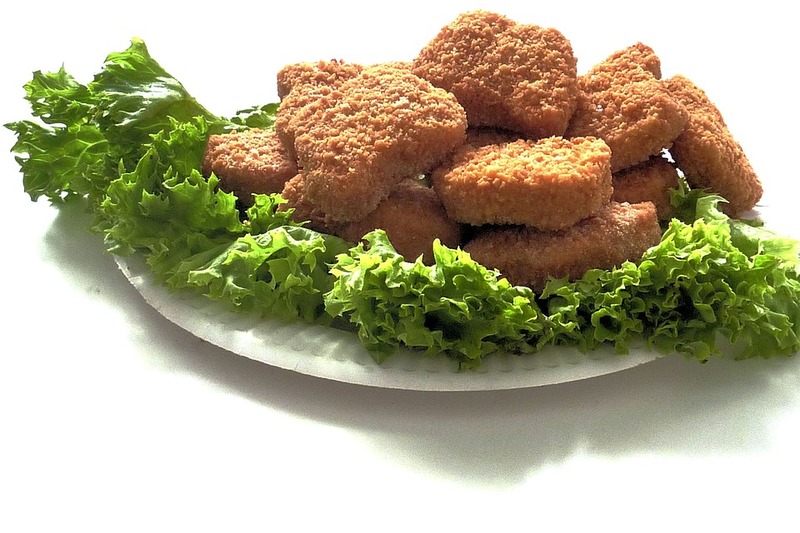 These ‘sharing’ boxes better get here quick though because according to experts, chicken nuggets are at risk from climate change. According to a new report released by WWF, the UK’s best-loved dishes as we know them, could be under threat as soon as 2050, as a direct result of climate change. Production of many foodie favourites will be affected in a mater of decades, including cheese, chicken, lamb and cod. In other words, habitual human effects on the environment could jeopardise our precious McNuggets. Chicken is going to be affected by climate change. It’s likely to cost more and could be fed on algae or insects in the not so distant future. The way we eat also contributes to climate change. By making a promise for the planet this Earth Hour we can all play our part and make a difference to tackle climate change head on. Luckily, McDonald’s have also introduced something a bit more classy for the more discerning diner among us, selling its very own Wagyu beef burger. McDonald’s say the burger, which is available for a limited time, is ‘rich, succulent 100 per cent Australian bred Wagyu beef’. The new burger comes with crispy bacon, caramelised onions and a tangy signature sauce. And why the hell wouldn’t you? They seriously need to start bringing this stuff over to the UK though, before the whole country erupts with jealousy. Anyone want to get a petition going?